Summer is winding down which makes me really, really, sad so I’m trying to get as much “grilling time” in as I can. There is just something about meat that’s been grilled, it just always tastes better don’t you think? I love the look of grilled meat, I know, kind of stupid, but there is just something about the grill marks that makes it look and taste amazing. 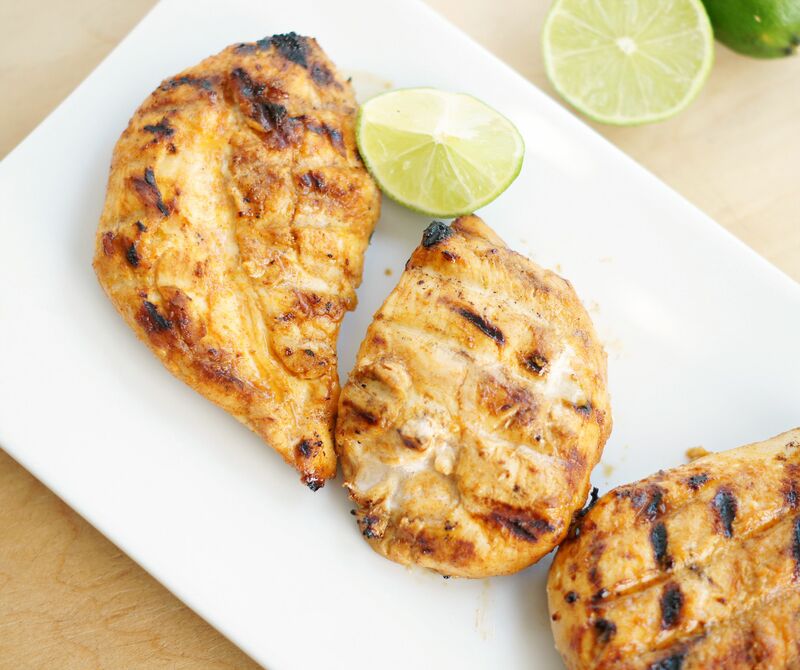 This Grilled Honey Lime Chicken is so fabulous! It’s packed with flavor, is tender and so juicy. 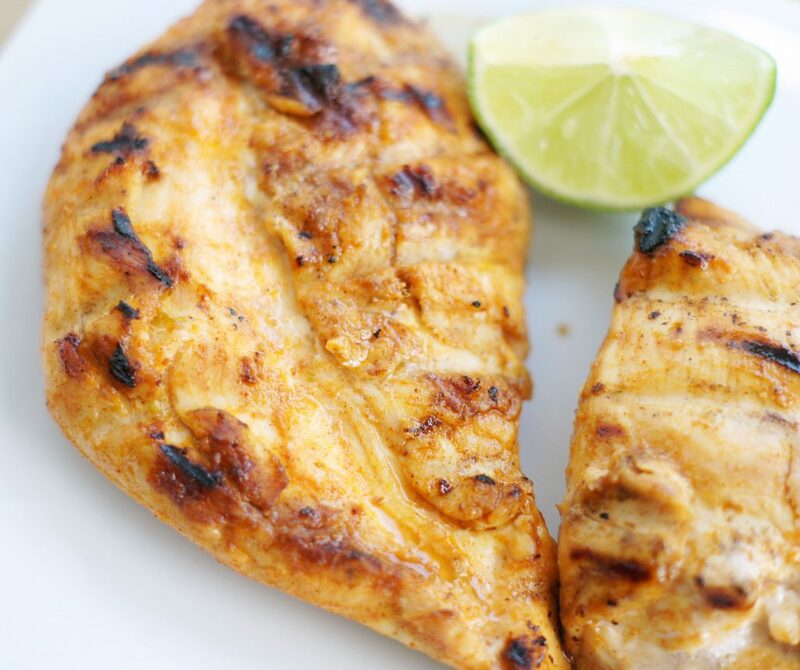 This chicken is perfect on it’s own or you can chop it up and make some killer chicken tacos with it. These honey lime chicken enchiladas are one of our very favorite meals, so that was my inspiration for this grilled chicken. Make sure you plan ahead and let the chicken marinate at least 8 hours or overnight. The longer the better. Simple and delicious. This is my kind of meal. Combine all ingredients and whisk until combined. 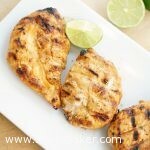 Place chicken breasts in a Ziploc bag and pour marinade over. Seal bag and shake around until all chicken breasts are covered. Marinade at least 8 hours or overnight. Grill over medium heat 5-8 minutes on each side or until juices run clear. Remove from grill and place on a plate and cover with foil for five minutes.